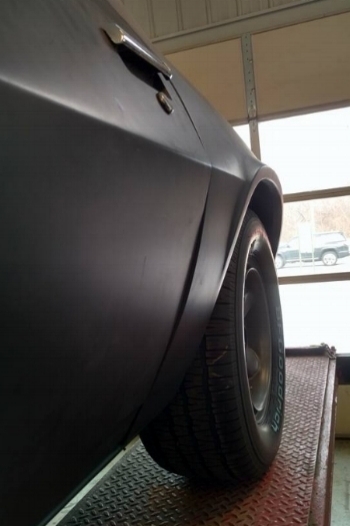 This classic was picked up by our customer from a body shop that was going out of business. The existing restoration work looked ok but we saw some opportunities to make it better. The passenger side door was a little out of line with the quarter panel. We trimmed it and welded in a replacement to make for a nice consistent gap to the quarter. 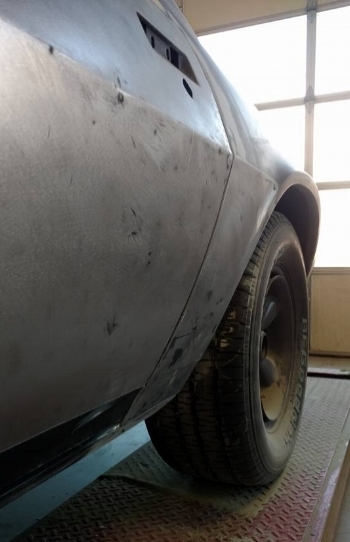 We also found a massive amount of filler hiding under the primer on the driver’s side door and lower quarter panel. A poorly done patch was found in the quarter panel so we removed it and re welded in a new patch. Once we removed the filler, the door fit much nicer (see the pics.) The door and quarter will now only require a thin skim coat of filler to be ready for paint! Come back to see more as this awesome little Camaro progresses toward a finish in Lexus Liquid Platinum with Son of a Gun Grey Stripes.